People who read books have their own reading habits independent of the book format they like. Pages of paper books can be folded and highlighted, whereas notes can be jotted down on pages of an ebook (that don’t destroy the actual page) and highlighted as well. Someone may like to read in bath and another in bed. Riveted has identified ten types of book readers – but there are more. Careful Page Turner. Books are so precious objects for this type of reader that even after reading a book, it looks like new. Page folder. Books are full of memories and important things to note and remember. Every earmarked page has something to say to this reader. Highlighter. Earmarking pages is not enough for this type of reader who wants to underline and highlight terms and lines. Ebook user. Computers, tablets, ereaders and smartphones have users (unlike books that have readers), who read electronic books from the screen. Paperback reader. In countries where ebooks have taken a large market share, sales of paperbacks has fallen, but there are still plenty paperback readers. Paperbacks are the classic choice of travelers, largely replaced today by ereader devices. Hardcover lover. Book, music and movie industries have something in common: they can sell the same product many times to same customers, only in different package. Hardcover books have retained their market share despite ebooks (or paperbacks) that often are priced lower than hardcover products. Library Hermit. With an endless supply of free books (and nowadays also the internet), it is easy to understand why some people like to spend hours in libraries. Story Hoarder. A reader starts reading a story, but something makes him or her jump to the next book without finishing the first one. Some readers have he ability to jump from one story to the next without difficulties. I can do it with nonfiction books, but not with fiction. Parallel computing. It is possible to read a book and listen to radio or (kind of) watch television at the same time, but playing a video game or cooking is difficult while reading a book. If you like to multitask, here is a tip for you: audiobooks. Another option is to download an app to your phone or tablet and let it read aloud an ebook for you. Bedtime page turner. For some readers, it may be impossible to sleep before reading a little while, at least. I can think of many additional types of readers, such as people who take a book along to a beach or park, and people who listen to audiobooks when they drive or commute. The emergence of ebooks has made books as a medium a flexible part of our lives, allowing us to enjoy them in many ways and in many places. This entry was posted in ebook, Publishing and tagged ereader, ereaders, reader, reading, reading list, writing, writing career, writing goals, writing tips, writing tools on February 13, 2018 by First Edition Design Publishing. While people young and old prefer reading paper books to tablets and e-readers, older individuals could find themselves reading faster and with less effort on a tablet, found researchers at the Johannes Gutenberg University in Mainz, Germany. Among 360 readers ages 21 to 34, no difference in reading speed or brain effort was detected between reading via a book, an e-reader and tablet. But big differences were recorded among 21 users ages 60 to 77 when they read the same text on paper instead of the devices, TechNewsDaily reported. In fact, using a tablet improved speed and reduced effort compared to paper and e-readers. Researchers measured eye movements and brain activity from EEG readings to determine ease of reading. Traditional e-readers were no help: Reading a short page of text on a e-reader took the older group about 28 seconds, the longest of the three. Switching to the printed book shaved 1.5 seconds off the time. But reading on a tablet took just 24 seconds, that’s 2.5 seconds faster than reading on paper. The researchers concluded that a tablet’s backlighting, which was adjusted to the brightest setting, made the difference. All tablets use backlighting, while e-readers use what’s called an E Ink display that provides less contrast than a brighter tablet (although it allows people to read in bright sunlight). But despite the physical findings, older adults and their younger counterparts said they got more pleasure reading from a paper book. The researchers said this was evidence of a cultural bias against digital books rather than a cognitive phenomenon. The study was published in the journal PLOS ONE. This entry was posted in Publishing and tagged ebooks, ereader on February 12, 2013 by First Edition Design Publishing. The e-reader era just arrived, but now it may be ending. Dedicated devices for reading e-books have been a hot category for the past half-dozen years, but the shrinking sizes and falling prices of full-featured tablet computers are raising questions about the fate of reading-only gadgets like Amazon.com Inc.’s original Kindle and Barnes & Noble Inc.’s first Nooks. There’s a new wave of tablets including this model from Toys R’ Us. shipments at 19.9 million units, down 28% from 27.7 million units in 2011. By contrast, IDC’s 2012 tablet forecast is 122.3 million units. Specialized devices for reading e-books have been hot sellers for five years – but one market-research company forecasts a significant decline in 2014. The WSJ’s Greg Bensinger explains why the introduction of lighter tablets may spell the end of the e-reader era. One problem is that some users who bought e-readers see no particular urgency to buy another. Julie Curtis, a substance-abuse counselor in Stow, Ohio, says she is devoted to her two-year-old Kindle. “It works fine, I really have no reason to get a new one,” she says. “If I did ever want to upgrade, it would probably be to a tablet, like the Kindle Fire,” she adds. What is the future for Sony’s eReader released in 2012? From humble beginnings to a bookselling behemoth, Barnes & Noble has seen ups and downs over the decades as it tried to straddle the world of paper books and e-books. But tastes and technology have moved on. People haven’t stopped reading. They are just increasingly likely to read e-books on tablets rather than e-readers, according to a recent Pew Research Center report. The polling firm found that 23% of Americans said they had read e-books in 2012, compared with 16% in 2011. The trend away from dedicated e-readers stems, in part, from their more-limited capabilities, which often include monochrome screens and rudimentary Web surfing. Tablet computers, such as Apple Inc.’s iPad, Amazon’s Kindle Fire and other devices using Google Inc.’s Android operating system, have color displays, full Web browsing. Not that all tablets are being embraced by consumers. Some data have shown a slow start to such devices powered by Microsoft Corp.’s new Windows 8 software. On Thursday, Barnes & Noble said that revenue at its Nook segment—which includes both tablets and e-readers, as well as digital content and accessories—fell 13% from a year earlier to $311 million for the nine-week holiday period ended Dec. 29. The company doesn’t detail sales for specific devices. A Barnes & Noble spokeswoman didn’t immediately respond to a request for comment. An Amazon spokeswoman declined to comment. There have also been major improvements in e-readers, including touch-screen technology and self-lighting screens. “E-readers are dramatically better today than they were even two years ago,” says Avi Greengart, an analyst at Current Analysis. Source: http://www.WSJ.com By Greg Bensinger—Shira Ovide contributed to this article. This entry was posted in Publishing and tagged apple, barnes & noble, digital books, ebooks, ereader, kindle, tablet on January 8, 2013 by First Edition Design Publishing. Kobo is the major player in the ebook world that you’ve never heard of. You’ve probably never heard of it because in the U.S. it is thought to have something like a 2% or 3% share in the growing ebook market. In Canada, however, where the company is based, it’s thought to be the market-share leader. It was acquired near the end of last year by Rakuten, a company considered the “Amazon of Japan,” and has started to build an ebook business there (for what it’s worth: a hard-to-crack market that isn’t promising for ebook publishers despite being one of the largest economies in the world with a very literate and technological population). In other countries, like the UK, South Africa and New Zealand, Kobo has a presence and is one of the only international players. Kobo is now in more than a dozen countries and is aggressively adding more. This little upstart from Canada is trying to compete with the likes of Amazon, Google, Apple and Barnes & Noble. Like those other companies, Kobo has its own set of devices that have been positively reviewed. Unlike Amazon, Google and Apple, it’s primarily focused on ebooks and e-reading. And, unlike Barnes & Noble, which is extremely U.S.-centric at this early stage of the game, it has international in its DNA. The company has been figuring out how to launch its business in other countries since early on when it expanded to the U.S. And Kobo has inked deals with the American Booksellers Association, a trade group for independent bookstores, and its equivalent in the UK to have indie bookshops sell its devices and ebooks. Recently, Kobo became the first major international ebook player to launch in Brazil, which it did in Apple/Google/Amazon-like gala fashion with a celebrity-studded event at Brazil’s largest bookstore chain, Livraria Cultura. And it also recently came out that Kobo intends to support full EPUB 3 functionality by the third-quarter next year (this is very wonky, I know, but what it basically means is that it’s the first e-reading company to come out and say that it would support the latest accepted standard ebook file formats at some point — it makes the company somewhat cutting edge). But wherever Kobo goes, Amazon and the others are already there or not far behind. Take Brazil. Hours after Kobo launched there, so did Amazon and Google. The international ebook wars are going to be a dogfight — but underdog Kobo has a fighting chance. This entry was posted in Uncategorized and tagged amazon, ebook, ereader, kobo on December 10, 2012 by First Edition Design Publishing. The book has been Christmas stocking staple throughout all our lives, predating the electronic gadgets and toys that now dominate most of our seasonal wish lists. But despite the popularity of these high-tech gifts, the traditional pastime of reading has been spared an unceremonious demotion to the history books thanks to the advent of eBooks. Showing that tech can marry old and new, eBook readers have won over sceptics to become the default literary consumption vehicle for millions of people worldwide. So rather than buy someone just one book or two this Christmas, why not push the boat out further and get a device that can store thousands of books? Here’s our guide to the top eBook readers you should be considering for your festive shopping this year. It would be churlish to begin an eBook reader guide without first acknowledging the offerings from Amazon and its ubiquitous Kindle line. Although there are now plenty of challengers to its eBook hegemony, Kindle remains the go-to brand for so many and will undoubtedly feature on Christmas lists penned by the old and young alike this year. If you’re discounting the fully-fledged tablets (Kindle Fires) – which I am – then it’s the newly-launched Paperwhite that tops the Kindle pile. Unlike its predecessors, the Paperwhite features a built-in light so you can read in the dark, and it enhances all other areas of the Kindle armoury too. The letters are unbelievable crisp thanks to the 758 x 1024-pixel 6in touchscreen, which also has a claimed 25 per cent better contrast. You also get faster page refreshes, and an eight week battery life – even with the light on. You have over a million eBooks to choose from in the Kindle book store (including 200,000 Kindle exclusives, helping to make it the strongest eBook store in the market) while the Paperwhite itself can hold up to 1,100 titles at a given time. The Paperwhite pulled in an impressive 8/10 in our review – and as we’re talking top of the eBook reader market here, we’ve gone the whole hog and popped the full 3G version of the device in our stocking of recommendations, at £169. Accept our apologies for pandering to the eBook behemoths with a double Kindle salvo, but at £69, the latest version of the entry-level Kindle simply has to feature on our list. Not distracted by launching the Paperwhite and the new Kindle Fire tablets back in September, Amazon refreshed the old E Ink favourite too – and at just 8.7mm thick and 170g, it is sure to slip into your pocket easier than any paperback book. This is what the Kindle is all about. The out-and-out practicality that lets it slot into you daily life with the minimum of fuss. Of all the expensive, dazzling gadgets that arrive at ITProPortal HQ, it is still the Kindle that remains one of the most popular and respected devices in the office. Even die-hard material-book loyalists have been converted by the Kindle, with its 6in non-glare screen (with 167ppi pixel density) and crystal-clear text that is actually more comfortable to read than your average ink on a page. Accessing the same library as the Paperwhite, as many as 650,000 titles are available for £3.99 or less, with the device’s built-in Wi-Fi downloading books in just 60 seconds. It’s also super-simple to use, meaning you can buy it for the oldest and youngest members of your family, at a price that doesn’t break the bank. The Kindles no longer have things all their own way, however. Probably their biggest rival is the Nook line from Barnes & Noble, of which the Nook Simple Touch GlowLight is its strongest proposition right now. With a built-in light for in-the-dark reading, this device goes head-to-head with the aforementioned Paperwhite, and matches the £109 price point of the non-3G version of Amazon’s device. Its digital library boasts 2.5 million books, newspapers and magazines, showing Barnes & Noble means business with its UK arrival earlier this year. Unlike some its rivals, the Nook Touch GlowLight sports a rubberised bezel which may make you feel a little more confident leaving it in the hands of children. It also offers seven different font sizes on its 6in 600 x 800-pixel touchscreen, has battery life of over a month, and is 12mm thick, with a weight of 197g. Its overall performance warranted a 9/10 score in our recent review, so if you’re comfortable straying outside the Amazon ecosystem, the Nook Simple Touch GlowLight could be the ideal eBook reader for your Christmas list. Another eBook reader you shouldn’t be ignoring is the Kobo Glo. It joins the burgeoning lit-screen club which sets it apart from earlier devices, and its ComfortLight technology promises to bring readability in a wider range of lighting conditions. 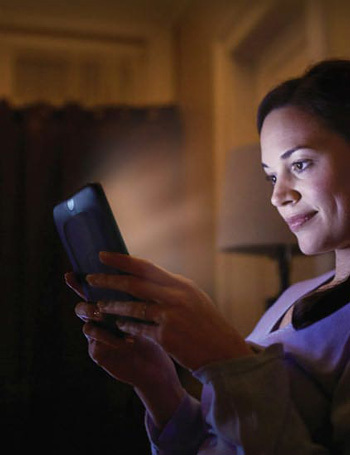 With the user able to open a brightness slider and choose between around 12 levels of illumination, it’s not a simple case of light and dark with the Kobo Glo, enabling you to set its impressive 1,024 x 768-pixel screen to optimum levels, whatever your surroundings. The books available in the Kobo collection and affiliated WHSmith store may not quite boast the Kindle library’s repertoire, but including all publications the company can still tout over three million eBooks, with one million free titles up for grabs. Plenty to get you started. The Kobo Glo also comes with its Reading Life feature, which lets friends know what you’re reading and allows you to share passages through Facebook – making the reading experience that bit more social. At £99.99, the Kobo Glo undercuts both the Kindle Paperwhite and Nook Simple Touch GlowLight by a tenner, yet still matches its rivals in performance – as demonstrated in our Kobo Glow review. Choose between black, silver, blue and pink to add the personal touch to your model. Heading back to work after the Christmas period, some may be worried about pulling out their shiny new eBook reader on the Tube and realising everyone else has the same one. Opting for the Sony Reader ahead of the competition outlined above should lower the chances of such a disastrous scenario, but the smaller reputation doesn’t equate to a less worthy device. The Sony Reader is a touch taller than your average model but is the lightest on our list at 164g, so you should be free of the dreaded mid-read arm ache. E Ink Pearl technology is splashed across its 6in, 800 x 600-pixel, anti-glare touchscreen . Sony’s roomy model has 1.3GB of storage which can handle up to 1,300 books at a time, allowing the user to carry a sizeable library wherever they go. For those with really expansive collections, the Reader also includes a handy microSD card slot which pushes the boundaries to an additional 32GB of storage. Annotations are enabled and Evernote compatibility further enhances the note taking capabilities. Priced £119, yes the Sony Reader is a little pricey for a non-lit model, but we think it’s one of the most attractive designs on the market. This entry was posted in Uncategorized and tagged barnes & noble, ereader, kindle, kobo, sony on December 7, 2012 by First Edition Design Publishing. How many features do you really need on an eReader? The German company txtr doesn’t think you need too many. Their txtr beagle eReader has an 8-level grayscale 5-inch e-ink screen with 800 X 600 resolution, 4 GB of memory and runs on 2 AA batteries, which is enough juice to read 12-15 eBooks. Books are transferred via Bluetooth from the txtr Android app on your smartphone to the beagle. Tipping the scales at only 4.5 ounces (128 grams), it’s lighter than Kindle’s 7.5 ounce Paperwhite. The best part…it’s around $13. This entry was posted in Uncategorized and tagged beagle, ebook, ereader, txtr on October 16, 2012 by First Edition Design Publishing. Are you ready to take your book collection digital and buy your first e-book reader? We’re here to help. We break down the best e-readers from Amazon, Barnes & Noble, and others. If you’re looking for a new e-reader, whether you’re upgrading or buying your first device, you’ll find there are a lot of options. There are four big names in the e-book reader market and they each offer a range of e-readers to suit different budgets and requirements. There’s a reason these companies are dominating the e-reader scene, so if you want quality, great features, and reasonable prices, there’s no need to look beyond them. 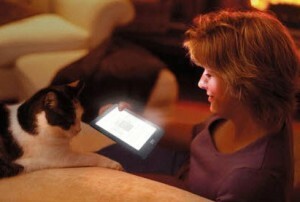 We are going to focus on dedicated E Ink devices for reading e-books here, so we won’t delve into full-fledged tablets. We’ll also ignore discontinued lines, although there are bargains to be had out there in the secondhand market. Let’s take a look at the options and then we’ll compare at the end. The popular Nook from Barnes & Noble comes in two flavors. There’s the Barnes & Noble Nook Simple Touch with GlowLight, and the Barnes & Noble Nook Simple Touch Reader. For the basic Reader you’ll need to shell out $100. It has an E Ink display, which is easy to read, even in direct sunlight. It also has a 6-inch touchscreen and can hold up to 1,000 books, magazines, or newspapers. A single charge will last you up to two months based on an average of 30 minutes reading per day. The GlowLight version is $20 more at $120. It is essentially the same, but it has a backlit touchscreen so that you can read in the dark. The GlowLight reduces the battery life to a, still respectable, one month. That’s also based on an average of 30 minutes reading per day. Both devices have a microSD card slot so you can expand memory by up to 32GB. That’s a lot of books. A perfect marriage of content and hardware has allowed the Kindle range to really drive the widespread adoption of e-readers. You have quite a few choices if you want to buy an e-reader from Amazon. There’s the basic Kindle, the Kindle Keyboard 3G, the Kindle DX, the Kindle Paperwhite, and the Kindle Paperwhite 3G. At just $70, the basic Kindle is a steal. It has a 6-inch e-ink display that’s easy to read, even in direct sunlight; it can hold up to 1,000 books, magazines, or newspapers; and a single charge will last you up to one month based on an average of 30 minutes reading per day. The Kindle Keyboard 3G costs $140 and it adds a physical keyboard into the mix and 3G connectivity. It also has double the storage of the basic Kindle and it boasts stereo speakers. A single charge will last you up to two months based on an average of 30 minutes reading per day. It is also larger and heavier. For anyone seeking something even bigger, there’s the Kindle DX. It has a 9.7-inch screen, free 3G, stereo speakers, 4GB of storage, and a physical keyboard. However, it costs a whopping $380 and battery life is just three weeks. The Paperwhite is Amazon’s answer to the GlowLight Nook. It also allows you to read in the dark, but the screen is not backlit, instead there’s a light at the top. The basic Kindle Paperwhite is $120. It boasts an extremely sharp 6-inch touchscreen, can store over 1,000 books, and can also last up to two months on a single charge, once again, based on a half hour of daily reading. The top of the range choice is the Amazon Kindle Paperwhite 3G which costs $180. It simply adds free 3G to the basic Kindle Paperwhite. You can pay an extra $20 for any of the entries in the Kindle range in order to avoid any advertising. The special offers take the form of adverts on your screensaver and at the bottom of your home screen. There is no intrusion on your actual reading. It doesn’t have as big a name, but Kobo does offer a good e-reader range. There’s the Kobo Mini, the Kobo Glo, and the Kobo Touch. The Kobo Mini costs $80. It has a 5-inch e-ink touchscreen. It can store 1,000 books and the battery can also last up to one month, but no usage estimates in terms of daily reading are provided. The one month battery claim is also contradicted in the Kobo FAQ which says two weeks. As you might expect, the Kobo Glo allows you to read in the dark and it costs $130. It has a 6-inch E Ink touchscreen, can also hold around 1,000 books, and the battery will give you 55 hours of continuous use with the light on. The Kobo Touch also costs $130, although you’ll find it discounted in a lot of places. It has a 6-inch E Ink touchscreen. It has the standard 2GB storage which is room for up to 1,000 books. The battery life is up to one month. The Kobo Glo and the Kobo Touch also have microSD card slots so you can expand the storage by up to 32GB. You current options are the Sony Reader PRST2HBC and the Sony Reader PRST2RC. As far as we can make out both devices are the same except for the color options. The Sony Reader PRST2HBC is standard grey/black while the PRST2RC comes in white or red. he Sony Reader costs $130. It has a 6-inch E Ink touchscreen. There is just 1.3GB internal memory, but there is a microSD card slot so you can expand storage up to 32GB. It can also last up to two months on a single charge, once again, based on a half hour of daily reading. If low price is your prime concern then you can’t beat the basic Kindle at $70. We’d give second place to the Barnes & Noble Nook Simple Touch Reader at $100. You could also consider the Kobo Mini at $80 but it has a smaller screen and poorer battery life. If you want to be able to read in the dark then it’s a head-to-head between the Barnes & Noble Nook Simple Touch with GlowLight at $140 and the Amazon Kindle Paperwhite at $120. The Nook has expandable memory, but the Kindle has a sharper screen, and coupled with the lower price, it edges this one. The Kobo Glo could also be worth a look at $130 as it boasts superior battery life. The presence of 3G, which will allow you to connect to a mobile network and download books even when you are out and about, is only available on selected Kindles now. Is it worth the premium? We think probably not. Most people will be happy to load up books using Wi-Fi and won’t feel the need to connect all the time. As with any expensive purchase, we would strongly recommend that you try these out before you buy. The feel of an e-reader is very important. If you want something light then the Kobo Mini and the Sony Reader are actually the lightest, closely followed by the basic Kindle. The sharpest screen on the market is the Kindle Paperwhite at 212 ppi. Ultimately, the Barnes & Noble Nook and the Amazon Kindle range get our strongest recommendation. You are unlikely to be disappointed with either. This entry was posted in Uncategorized and tagged amazon, dx, ereader, glowlight, kindle, kobo glo, koboi, paperwhite, sony on October 9, 2012 by First Edition Design Publishing. As we predicted a couple of weeks ago, Amazon has released a new range of e-book readers and colour pad computers. What we didn’t foresee was that Amazon’s big announcement would coincide with the first anniversary of the death of the inventor of the e-book. As long as there were computers that were widely networked, it was inevitable that book texts would be digitized. But somebody had to go first, and the world is richer for the fact that Michael Stern Hart had the vision and altruism to make it happen long before the rest of us dreamed of owning a computer, or heard of the internet. Michael Stern Hart – the father of ebooks. In 1971, Hart had talked his way into a user account on a mainframe computer at the University of Illinois, where he was a student. He had no idea what to do with it. In those days university computers were used mainly for data processing. But walking home from Independence Day fireworks in 1971, he had his eureka moment when a grocery store stuffed a free copy of the Declaration of Independence in his bag. Hart typed it into the mainframe and made it available for download over the academic network that then joined just a few campuses and the US Department of Defense. Hart’s Project Gutenberg was born. By 1987 he had personally entered the text of 313 out-of-copyright books and plays. On average, every 20 days, Hart typed in The Odyssey, then The Iliad, then Tom Sawyer, then The Merchant of Venice, and so on. As Gutenberg himself had given the world its first printed Bible, Michael Hart gave us the first electronic edition. The university communications network grew, and Hart asked others to contribute. Project Gutenberg became one of the first distributed technology projects with mirrored sites and coordinated volunteers. We’ll let the man himself articulate his cause. “Encourage the creation and distribution of e-books. Help break down the bars of ignorance and illiteracy. Give as many e-books to as many people as possible.” To date, his US project has captured about 40,000 books. Affiliated organizations like Project Gutenberg Australia account for another 60,000. Hart died on September 6 last year aged just 64, and apparently having made more from odd jobs like stereo repair than he took as salary from his real work. We’ll be using US contacts to get hold of the new Kindle Paperwhite model with its increased pixel density, greater contrast and a patented, built-in light that emanates evenly from the edge of the page. This will make reading in the dark easy without any clip on lamp. And when we take delivery, we’ll spare a thought for M.S. Hart, late of Urbana, Illinois. 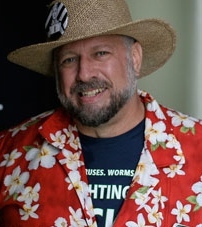 Peter is a Melbourne, Australia lawyer who writes a weekly technology column for the Australian Financial Review. This entry was posted in Uncategorized and tagged ebooks, ereader, michael stern hart, project gutenberg on September 17, 2012 by First Edition Design Publishing. SAN DIEGO, Aug. 16, 2012 /PRNewswire/ — Sony introduced today Reader™ (PRS-T2), a light and thin 6″ eReader with an enhanced, intuitive touch screen optimized for long-term reading and the most natural, immersive reading experience. Available in three colors – white, red or matte black – Reader offers new social features and a simplified and intuitively designed home screen. The glare-free, E-Ink® Pearl V220 touch screen has been enhanced for optimal long-term reading. It now features intuitive touch, more paper-like page turns, improved continuous page turns and a smoother zoom in and out. The new device features an improved default book layout and makes it easier to organize and find books. The device has two English language and four translation dictionaries built-in and provides up to two months battery life (with wireless off) and 2GB of storage. Readers can swipe a finger to turn a page, zoom in and out by pinching fingers together or apart or write notes on the page or highlight text with a finger or the supplied stylus. Users can also choose from eight font sizes and seven font styles. The device includes new Facebook® and Evernote® features. Consumers now have the ability to post a short passage from books purchased from Reader™ Store to Facebook directly from the device along with the book cover, author and title. For the first time, Reader is combining features from Evernote to allow users to save their favorite web content to enjoy any time. Evernote’s Web Clipper allows saving content with a click, and pages saved with Evernote Clearly are optimized for Reader’s crisp E-Ink display. Favorite passages can also be annotated on Reader and saved back to Evernote for viewing later on any smartphone, tablet or PC. With built-in Wi-Fi®, Reader PRS-T2 offers consumers more access to books anytime and anywhere. Sony continues to offer its popular and critically-acclaimed public library lending feature by offering patrons with a valid library card the ability to easily and conveniently borrow free e-books wirelessly from over 15,000 public libraries in the US via an intuitive, simple-to-use dedicated icon on the device. Beyond borrowing free books from public libraries, book lovers can also continue to access and download thousands of e-books, newspapers and magazines from Reader™ Store directly to the device using a Wi-Fi connection. Reader Store now offers a web-based Store, giving consumers more freedom to read the content they love, anytime and anywhere. Reader Store accounts are now accessible from most web browsers, and sign-in and purchase can be done without having to install any software to a computer. The web store officially supports the latest browsers on Windows® and Mac® operating systems, including Internet Explorer®, Safari®, Chrome™ and Firefox®. Any book purchased via web browser will be waiting in the user’s Reader library, ready to be read. As part of Sony’s collaboration with Pottermore and the Pottermore Shop (the exclusive home of the Harry Potter eBooks), Sony will offer a voucher to redeem against the first eBook in the Harry Potter series, Harry Potter and the Sorcerer’s Stone, for free. The voucher can be redeemed at the Pottermore Shop following purchase of the matte black Reader PRS-T2. Reader PRS-T2 is available for order now for about $129 at Sony Stores and online at http://store.sony.com and other authorized retailers nationwide. Accessories for Reader include a Cover and a Cover with light, for about $35 and $50 respectively. This entry was posted in Uncategorized and tagged ebook, ereader, evernote, pottermore, prs-t2, sony, wi-fi on August 17, 2012 by First Edition Design Publishing.